Developing & designing 2.4Ghz wireless keyboards & mice, Bluetooth keyboards & mice for 10 years. 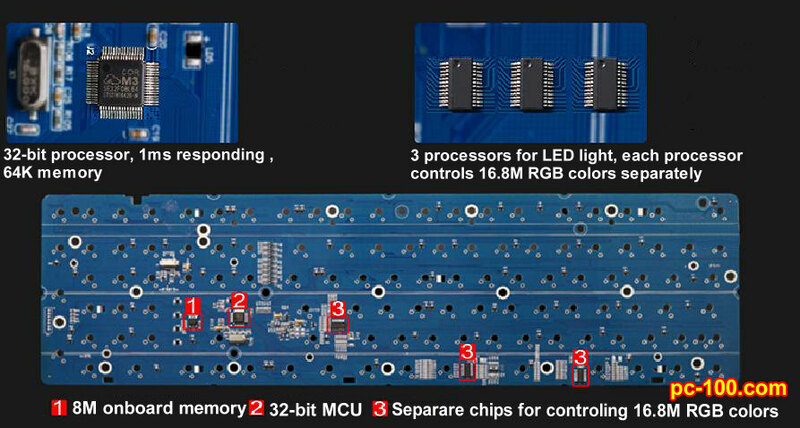 We are always at industry-leading level, even the bottom chips are developed by ourselves. Now we focus on developing and designing mechanical keyboards for 3 years. Completely different from any imitation brand in the market, the whole solution is developed and designed by ourselves. Market original, complete copyright, all powered by GeekCustom Team. For Configurating multiple-layer keyboard and DIY RGB lighting effect. It make users use smart keyboard easily. Light strike optical switch is from Chinese innovation. and it is with high reaction speed and durable than MX-based switches’. 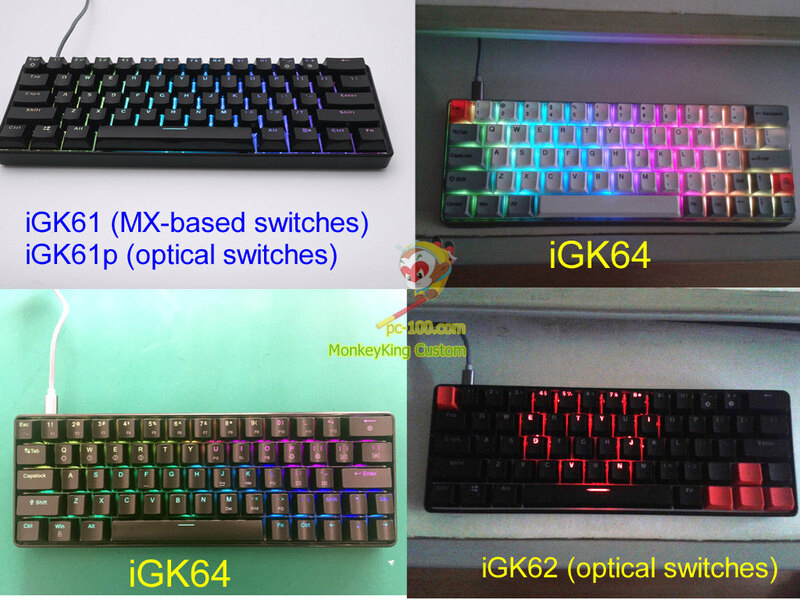 Now GeekCustom Team work with Gateron factory, has made red, blue, black, brown and silver optical switches. This is our newly created product series, with better quality and much competitive price. In the future, GeekCustom Team will launch GeekOptimization optical switch, in order to improve the switches’ tolerances. The keyboard PCB use Kailh hot swap sockets. Customize your favorite switches easily. Change it yourself ! Optical switch’s structure is different from MX switch’s. More suitable for hot swap, more easier to plug-in and pull-out. The world’s leading full RGB LED backlit design used in 60% keyboard. User define every key’s individual color, useful and interesting. 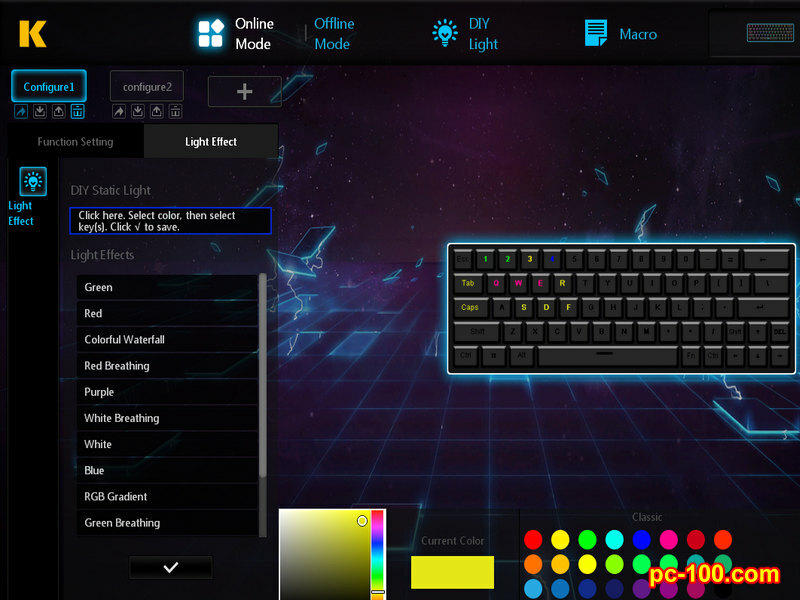 What’s more, all the customized lighting effects can be stored in the keyboard, on-the-go. Install and replace keyboard panel quickly, just by 6pcs screws. The design of reinforcement steel plate, fit for net-café. Welcome to contact us, just customize for you.